Hi, my name is Rachel. I am a Primary School Teacher and mother of 3 boys. Statistics show for children 8 years and under that up to 1 in 3 children are affected by Otitis Media for 6 months of the year. These statistics are true in my family. 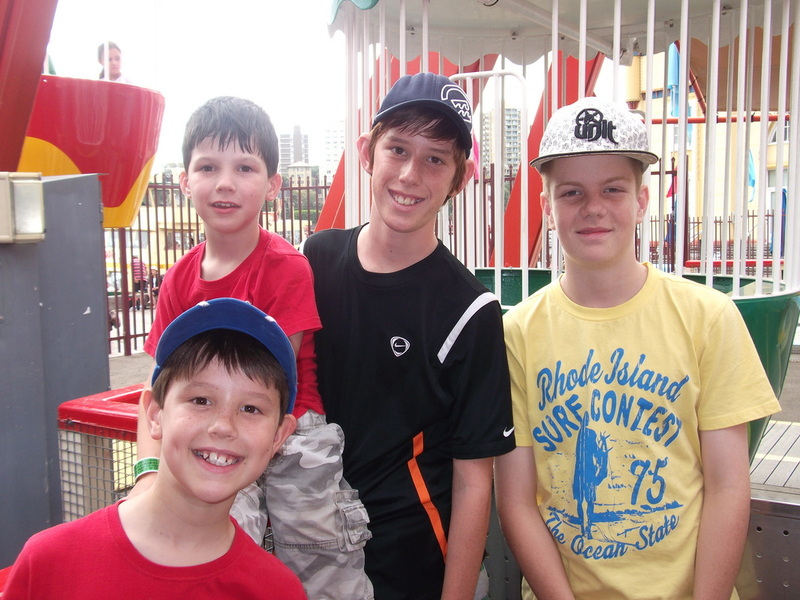 My 11 year old middle son, Sam, is at the end of a 6 year stint of 2 sets of grommets for Otitis Media. His condition is the one with no ear pus, no pain, no sickness. This is Otitis Media with Effusion, also known as GLUE EAR. It really is a hidden disability as it is so hard to diagnose. I had his hearing checked 3 times at ages 3 to 4yrs. Each time he obviously had no fluid in his middle ear as the tests came back as normal middle ear function and hearing levels. It was so frustrating as deep down I knew there was something not quite right with Sam. 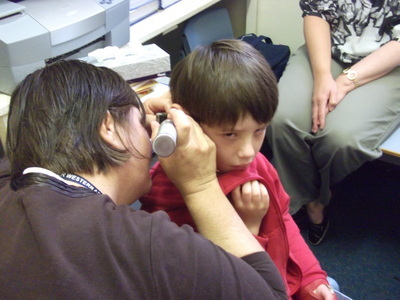 As I knew nothing about Otitis Media, I did what many Parents do and just accept that his hearing is normal and not worry about having any more ear checks. 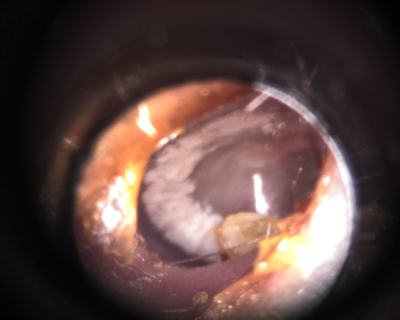 I had no idea that the fluid in the middle ear can come and go all the time. It so makes sense now as some weeks Sam would be really good, behaving well and interacting nicely with others. Then, to totally confuse me, all of a sudden he would revert back with his behaviour. It seemed to be coming and going all the time. His only symptoms were mood swings, changes in behaviour, constantly going into his own little world and doing his own thing or doing nothing at all! My sister kept telling me this behaviour was what her son did when he was having ear troubles but I didn’t think Sam had Otitis Media as, unlike my nephew, Sam had NO EAR PUS. 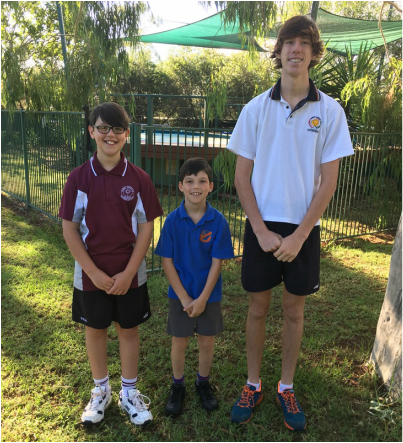 As I started to learn more about Otitis Media, I started to realise that there were probably so many more children in classrooms like Sam that were being diagnosed as having behaviour and listening problems. 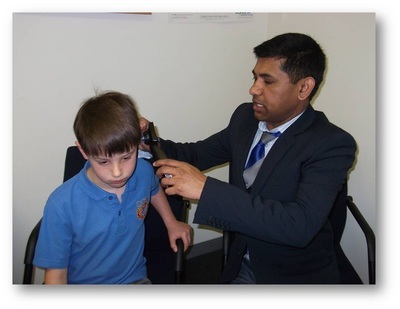 I organised for hearing testing to be performed at his School for children that teachers were concerned about. 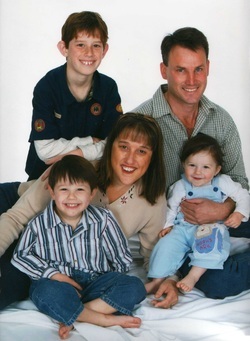 It was then, at the end of Kindergarten, that Sam was finally picked up as having Glue Ear. Parent instinct is a good thing!! Thank heavens for the school hearing tests too as so many others were picked up on that same day as having Otitis Media. 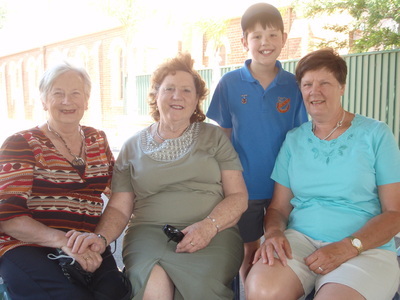 The following MAY 2010 Sam had his tonsils and adenoids removed and grommets inserted by Dr Rabie at the Dubbo Private hospital. For the first 12 months he still suffered episodes of Glue Ear but the grommets drained the fluid out of his middle ear and allowed him to hear normally. He has to wear earplugs when in water, including the bath/shower as getting water in through the grommets can cause an infection. By age 8 he should have grown out of otitis media and his grommets were due to fall out anytime. 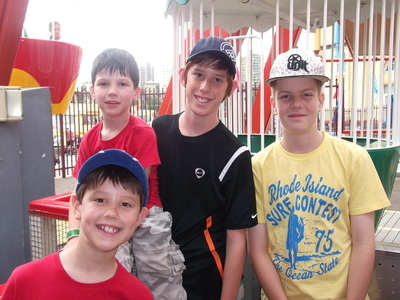 Because Sam had grommets, he has progressed well at school, being an average student. His social and problem solving skills are not age appropriate which makes me think he probably had Glue Ear on/off for most of his toddler and pre-school years. Otitis Media affects everyone. Regular hearing testing is vital. 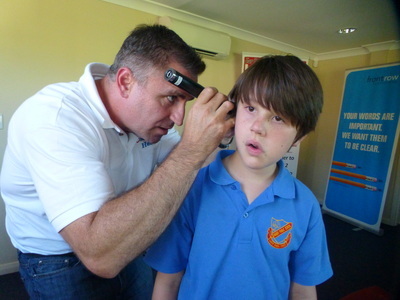 The ear bus will be good to get around all schools and educate parents like myself that had no idea about glue ear and having regular hearing testing as this does not happen in schools anymore. If Sam had not been picked up at school, heavens knows where we would be with him now……. Sam enjoying a game with his cousin Ty. His hearing and behaviour drastically improved after having been fitted with grommets at age 6. After grommet surgery you think that your problems are finished but there is much work to be done. 1. Training Sam to remember to always wear earplugs in the bath, shower and pool. Most importantly in the dam or river as the dirty water entering in the ear canals can cause infections in the middle ear. We had spare pairs in the glove box after we forgot to pack them once and went swimming in a dam. That cost us $40 for the antibiotic ear drops the following week and 3 trips to Dr Kaipu!! 2. Regular check ups at our GP Ramana Kaipu and ear Specialist Ibbi Rabie along with 3 hearing tests a year to monitor. Our journey with otitis media just wouldn't end! Just when we thought things were going well his right grommet just didn't want to fall out. Life goes on, still wearing earplugs and having regular hearing tests just to make sure his right ear hole had healed well after the grommet removal. Sam was really enjoying not having to wear an ear plug for the first time since 2010. 2. Nasal spray and Sam would need to do ear popping exercises 10 times a day to try and release the negative pressure. After years of ear problems Sam really didn't want more grommets so we went with option 2. 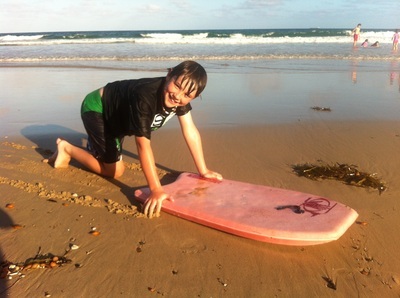 Unfortunately this didn't work and a month later in NOVEMBER 2013 Sam went in for his 2nd set of grommets. He wasn't a happy boy and bribery was on offer!!!! X Box games and a pet canary!!! Sams very first swim in 6 years without having to worry about ear plugs or grommets. One of my favourite photos. I sent the pic by text to Dr Rabie, who responded with, " Hooray for Sam, he's such a good boy "
Was more monitoring and unfortunately he had 6 months of more negative pressure with mild hearing loss on and off. By October though he started to improve. His first normal test for 2015. January and May also returned normal tests so we are thinking his ear health journey is FINALLY FINISHED. 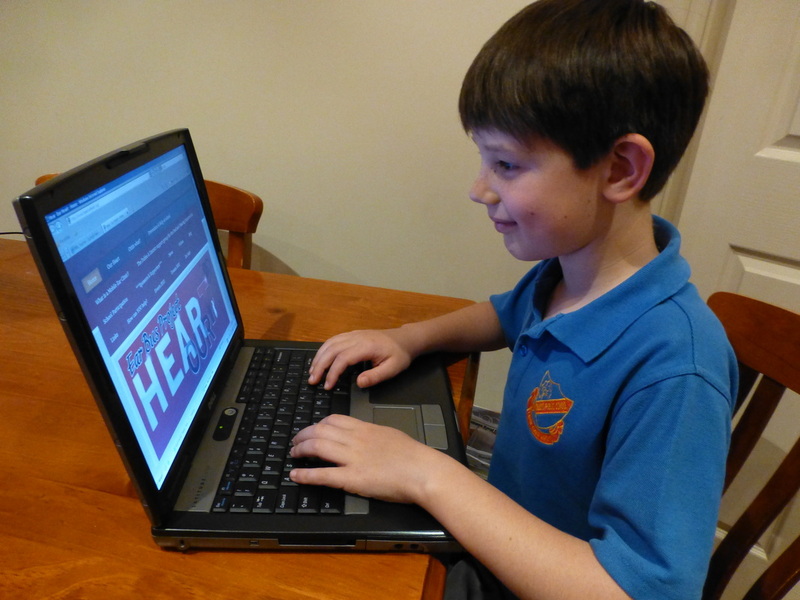 ​Because of Sam I now work as a Hearing Support Teacher with the Department of Education and am a Volunteer Director of the Hear our Heart Ear Bus Project. ​My journey with Sam's ears drives me to help other unsuspecting mothers like myself.Was In some ways I am thankful Sam had ear problems as it changed my career and I have become friends with some amazing people. I love helping others and am proud to be part of the Ear Bus Project so other families don't have to suffer like mine did. Some days I look into Sams eyes and know I did the right thing by going with my gut feeling that his hearing was the issue all along.